Why was a $100,000-plus surveillance van auctioned for only $20,000? CLEVELAND, Tenn. — Some Bradley County commissioners are questioning why the county sheriff's office sold a fully equipped surveillance van to a Nashville bail bondsman for $20,000. 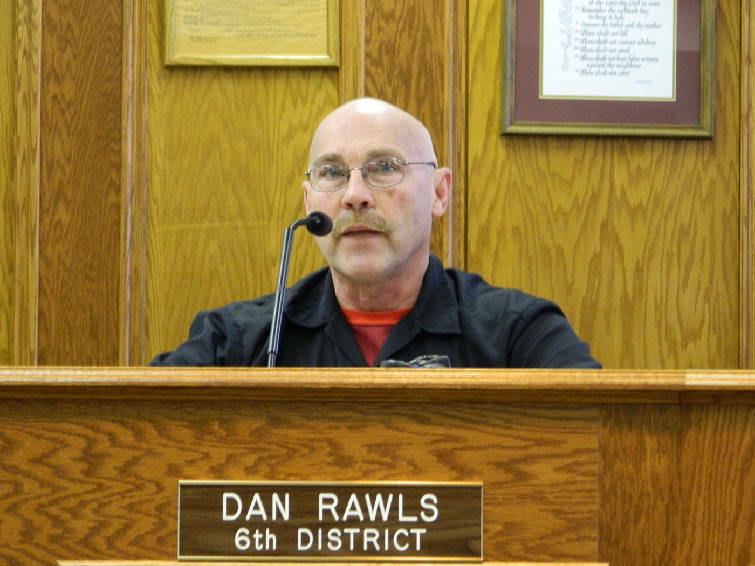 During Monday's Finance Committee meeting, Commissioner Dan Rawls said the vehicle had "well in excess of $100,000 of equipment" aboard and only 3,513 miles on the odometer. Commissioners were skeptical when Richard McAllister, director of support services for the Bradley County Sheriff's Office, said the 2006 Ford van and equipment were old and the department couldn't sell it on GovDeals.com, where it disposes of other worn-out sheriff's department vehicles. Instead, McAllister said, the county took the van to a Tennessee Sheriffs Association event and offered to let other departments bid on it. The TSA's winter expo and training was Feb. 2-4 in Franklin, Tenn.
"But $20,000 was the best we could get on it," McAllister said. The van was purchased new in 2005, he said, but changes in electronics come so fast "that when that truck got to the Bradley County Sheriff's Office, it was obsolete at that time." But Rawls disputed that. He said the local workman who replaced cassette recorders with digital equipment in 2014 at a cost of around $3,000 told him the only problem with the van as a surveillance vehicle was "it sticks out like a sore thumb" because it looks brand new. McAllister said a $30,000 minimum was set on GovDeals.com. A GovDeals bid record given commissioners showed the auction began Jan. 19 and ended Feb. 2, with the high bid of $12,000 offered Jan. 29. The record did not affirmatively identify the vehicle at auction as the van. The GovDeals ad described the surveillance vehicle as having "highly technical equipment with video and audio monitoring, comes with two operation manuals, has several monitors and frequency scanners. Interior and exterior cameras." Rawls said that wasn't much of a description, and asked why the county didn't offer more details in hopes of getting bids at least closer to the requested minimum. He also wondered why the van and a complete accounting of its equipment wasn't in the county's inventory. When McAllister said that lack occurred under the prior administration, Rawls asked why a new inventory wasn't done when Sheriff Eric Watson took office. It's not clear how the sale came about after the sheriffs association meeting. Unlike the GovDeals attempt, commissioners were given no copies of bid specs or offers submitted by would-be buyers and no bill of sale. The only documentation is a cashier's check to the Bradley County Sheriff's Department for $20,000 by "Gregory Sanford/TRG." Greg Sanford co-owns Free at Last Bail Bonds in Nashville and used to own Tennessee Recovery Group, a bounty-hunting firm. According to the Tennessee secretary of state's office, TRG's corporate charter was administratively revoked in 2014 when the company failed to file required annual reports. Sanford's connection, if any, with the Tennessee Sheriff's Association was unclear. Contacted in Nashville on Monday afternoon, Sanford said he was in a meeting and would call back, but he didn't. County Attorney Crystal Freiberg said late Monday afternoon she would have to research the county's policy on procedures for selling surplus property. She did say, though, the county should have some documentation, and specifically a bill of sale. While the van sale was the focus, commissioners in the finance committee raised questions about property disposal in other departments as well. "I'm not happy with the way we get rid of assets," Commissioner Thomas Crye said. "We need to take a hard look" at the county's procedures in several departments. "We don't have any idea how much they cost, how much they're asking for it or anything," Crye said. 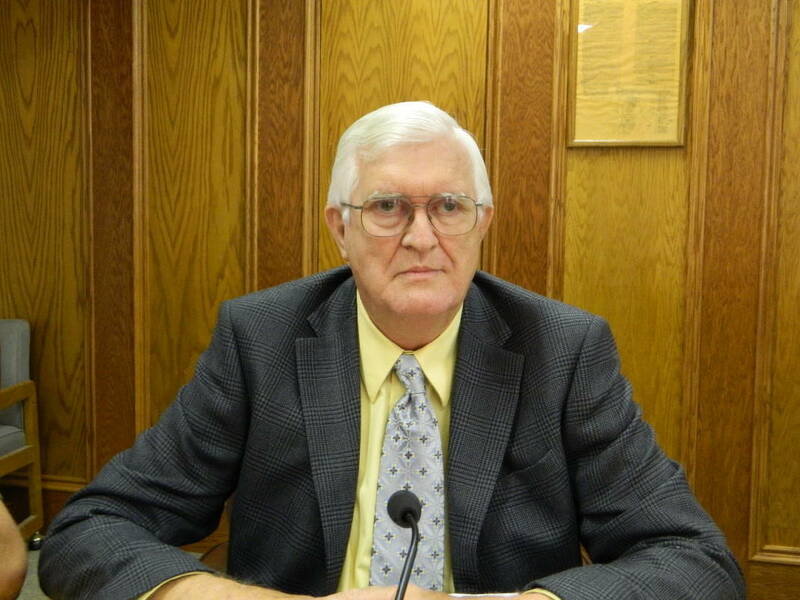 County Mayor D. Gary Davis pointed out that commissioners voted earlier to put surplus property sales in the consent agenda, which is voted on as a package and generally reserved for noncontroversial items. If they're not happy with the procedure, he said, "You can change that Monday." Commission Chairman Louie Alford said he would name an ad hoc committee to see whether the policies should be revised.